Nvidia is advertising their new GeForce GTX 750 Ti GPUs based on the new more power efficient Maxwell architecture as being with 60W TDP, but in truth they seem to be much more power efficient than that. A lot of people are already interested in using these new GPUs from NVidia for mining, because the performance that the Maxwell delivers seems to be very good in terms of hashrate per Watt ratio. When you use CUDAminer to mine with the GTX 750 Ti you will notice the card will quickly reach the 100% power target limit and normally you are not allowed to increase the power limiter of the card above the 100% value, you are allowed to only lower it further. The interesting thing here however is that the default TDP limit for GTX 750 Ti is actually set to 38.5W inside the BIOS and the minimum of 78% you can go down to is equal to just 30W TDP and as we’ve mentioned Nvidia is talking about 60W TDP for these cards. The fact that the cards are actually limited to 38.5W by their power limiter is something that can prevent you from squeezing the maximum performance that you can get by overclocking the GPU and/or the video memory of the card, so increasing the TDP limit by modifying the BIOS and reflashing the video card with the modified BIOS can help you with that. 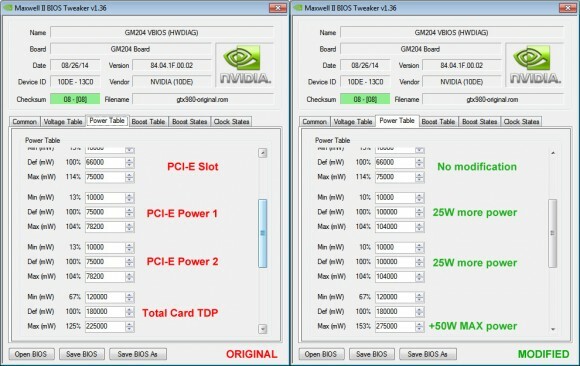 Since many of the GeForce GTX 750 Ti video cards do not have external PCI-E power connector you will be limited to the maximum power that these cards will be able to use due to the 75W maximum of power that PCI-E x16 slot can provide by specifications (66W for the 12V line that you will be actually using, the other ~10W are for the 3.3V line). But even this will provide more than enough headroom since the default TDP limit is not 60W as we though, but really just 38.5W, so lots of headroom for overclocking. 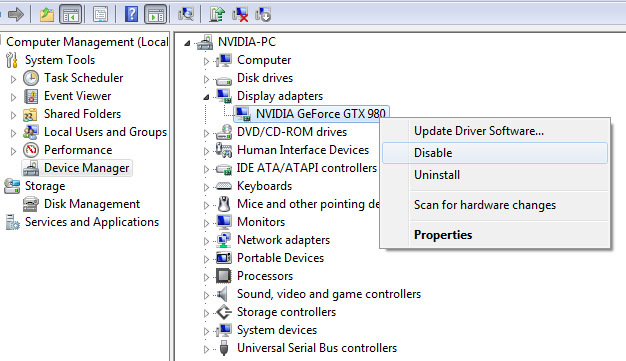 In order to be able to modify the BIOS of your video card you will need to first save the original one from the card, you can use GPU-Z for that and make sure you keep the original BIOS as a backup and save the modified one as a separate file (you can also backup the BIOS with the nvflash under DOS if you are having trouble with GPU-Z). Then you need to fire up Kepler Bios Tweaker and open up your BIOS file and edit is as shown in the screenshot above (left is original, right is the modified) in order to get 65.5W as the maximum TDP of the card. 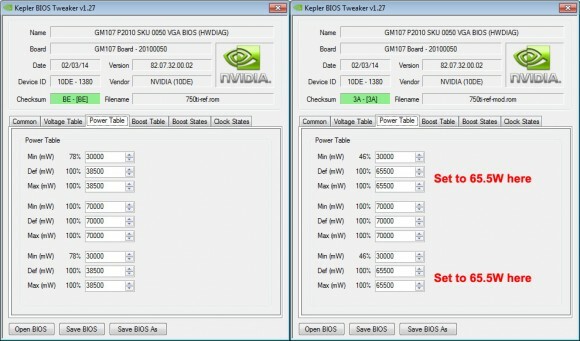 After that you need to flash the BIOS back to your card using the provided nvflash, you can download the flasher and the Kepler Bios Tweaker along with a standard BIOS from a reference 750 Ti and a modified version of that BIOS to allow 65.5W TDP from the link below. 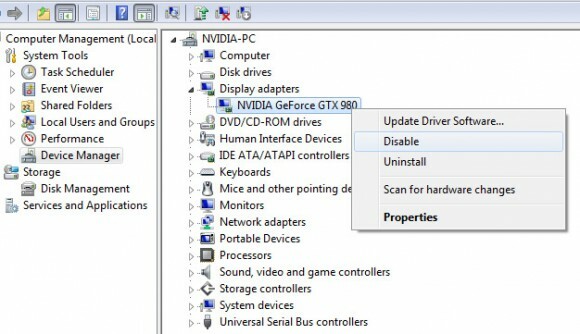 We suggest that you save the BIOS from your own video card and modify it, also do have in mind that modifying and flashing modified video BIOS to your video card can be dangerous, so you should be extra careful what you are doing and not modifying things that you should not or does not know what they are for! The procedure described above will work for increasing the power target limit on other video cards as well not only on GTX 750 Ti, however before increasing the limit make sure that your video card cooling can keep the card cool enough. 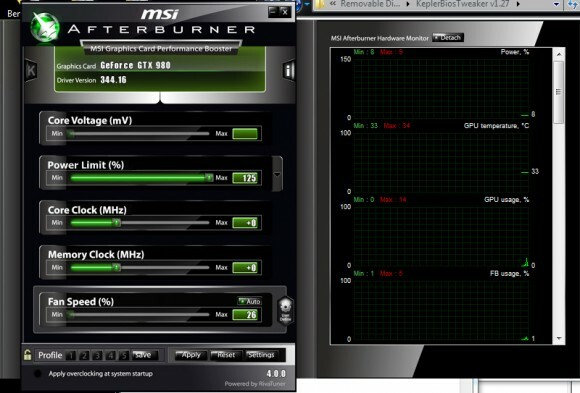 Using the video card fro mining will bring the power target to 100% in most cases even without overclocking the card additionally, so just by increasing it you might e able to squeeze some extra performance even without overclocking it further. 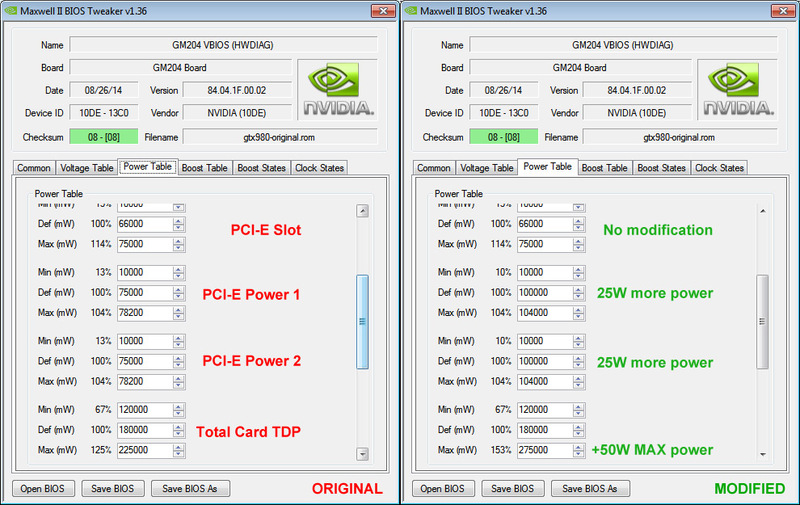 The version of nvflash provided in the archive below is the latest one that will work with the GTX 750 Ti as well as with older video cards, it is the DOS version of the flasher as the Windows version of nvlfash does not seem to work properly – it does not want to flash the modified BIOS to the card saying that the BIOS digital signature is wrong. No problems flashing the modified video BIOS though trough the DOS version of nvflash 5.163, so we have only included the DOS version that will work with the method described above. There are two BAT files configured to flash the modified video BIOS and to restore the original version of the included reference design board BIOSes, you just need to run “nvflash your_bios.rom” and confirm with “y” when asked by nvflash (make sure you’ve made a backup of your original video BIOS first!). Again, be aware that video BIOS flashing and modification can be dangerous and can temporary render your video card useless, at least until you reflash it with the original BIOS, so do keep a backup of the original! Also note that increasing the TDP limit beyond the recommended value above could also be dangerous, so be well aware that this modification can be dangerous! 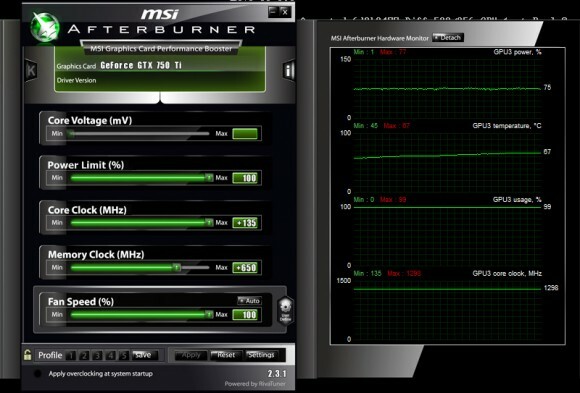 Feel free to share your results for overclocking and mining hashrate after increasing the TDP limit of your GTX 750 Ti or another board in the comments below.